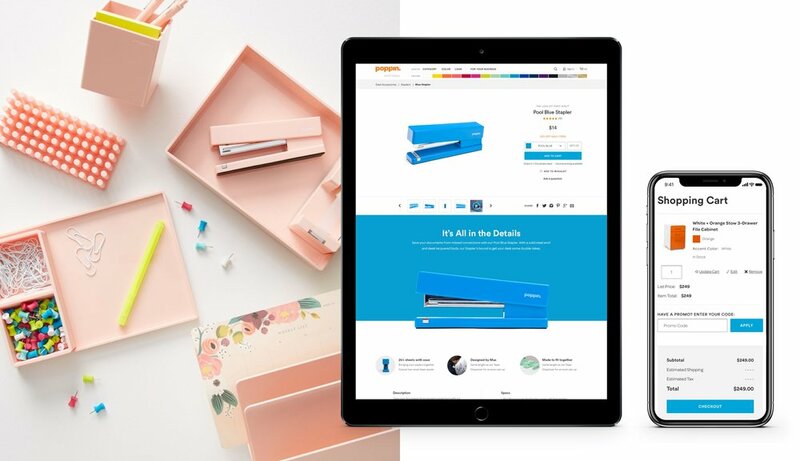 Poppin sells everything from $2 erasers to $50,000 office makeovers, so it was essential to create a scalable, mobile-friendly, responsively designed site that's colorfully on brand and allows Poppin to utilize real-time data to merchandise to each type of audience member. With their range of colors and styles, Poppin allows their customers to curate their spaces to match their personalities. It was essential to design the site in a way that inspires and fills people’s spaces with color and joy.